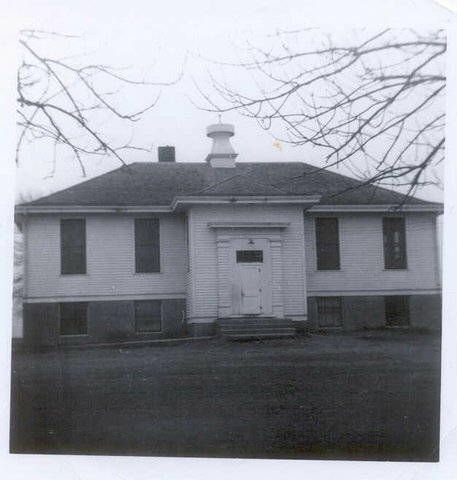 This is a picture of the Bingham, North Dakota school. My family lived in the basement of this school during the winters of 1952 and 1953 while mom taught. During the summer we lived on our farm. In the falls we would go with mom to her teaching jobs. My father would follow as soon as harvest was done. I was born during my mother’s Christmas vacation in 1952 and my little brother was born during her 1953 Christmas vacation. Mom had successfully hidden her pregnancies from the school board when she was teaching. Eugene’s birth (the sixth and last in our family) was too much for this small North Dakota School Board to handle, so her teaching contract was terminated for “Morals”. Our family of eight returned to farm to wait for spring planting. Mom went on to other teaching jobs and we would continue to spend summers on the farm and winters under the schools she taught in. This entry was posted in Blog, Family Memories, Farming, School Memories and tagged North Dakota, School, teaching. Bookmark the permalink.